This home in the highly sought-after C line is available for the first time in decades - Bring your architect! Nestled above the trees, this pre-war Classic Seven is a perfectly proportioned home boasting over 2300 sq. ft. of space, offering 3 bedrooms, 3 bathrooms, a formal living room, dining room and maids suite. From the gracious entry foyer, 4 arched doorways lead to separate spaces within this grand residence. Off the foyer, the living room and formal dining room enjoy spectacular eastern light and stunning monument views of the Soldiers and Sailors Arch. Proportioned for elegant yet comfortable living, both rooms are ideal for entertaining large parties and small intimate gatherings alike. The dining room is large enough to accommodate a table of 12 with room to spare. Down the hall and smartly partitioned from the main living areas are three large bedrooms. 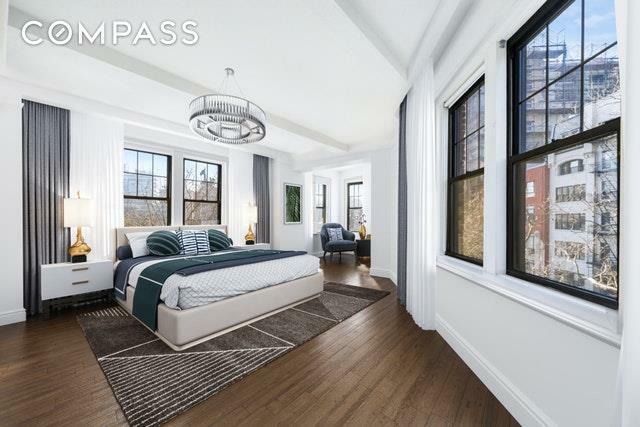 The expansive master bedroom, graced with an incredible three exposures, is perfect for relaxing with a book as you take in the views of Grand Army Plaza, Prospect Park, and the Brooklyn Public Library. 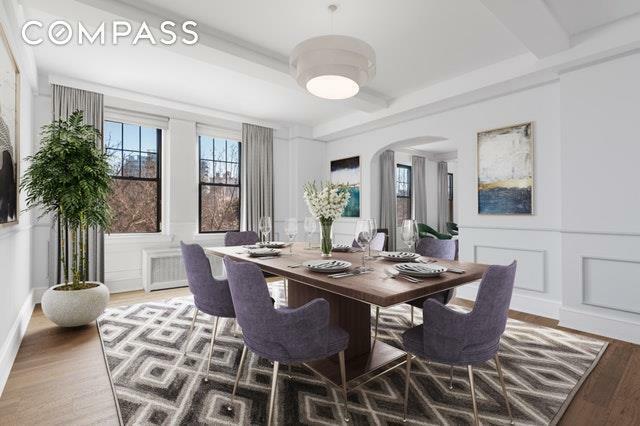 The generously proportioned second and third bedrooms are situated along the gallery-like hallway.The spacious eat-in kitchen can easily be opened up to the dining room for an open-concept space. A maid's room is located behind the kitchen, which can be converted to a separate laundry room, home office or an au-pair suite.? 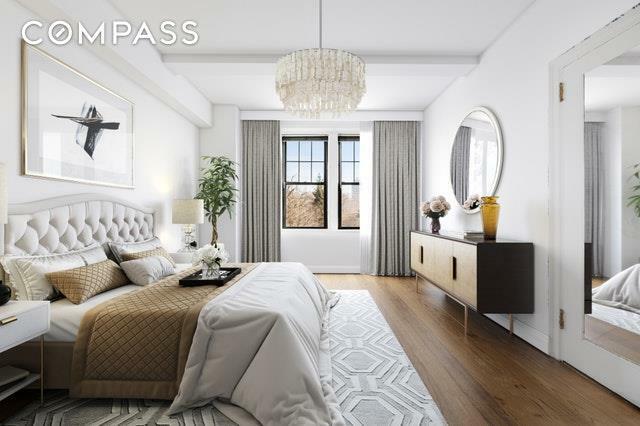 Designed in 1928 by famed architect Rosario Candela, the most renowned architect of luxury pre-war apartments in Manhattan, 47 Plaza Street West is one of the most elegant buildings in Brooklyn. Standing out amongst the rest with a gentle curve along it south-side, there is an apex with room for just one window, an extraordinary design element. This 47-unit high-rise has 16 stories, 2 residences per floor and is self-managed. Its one of the few full-service buildings left with a canopied entrance, stained glass lobby, white glove service of a 24-hour doorman, elevator operator, resident manager and mail delivered right to your door plus storage in the basement.Located in prime Park Slope and a few blocks from Prospect Heights, the 2, 3, B and Q express subway lines, a Saturday farmers market, Prospect Park, The Brooklyn Library and the Brooklyn Botanical Garden are within minutes from building. 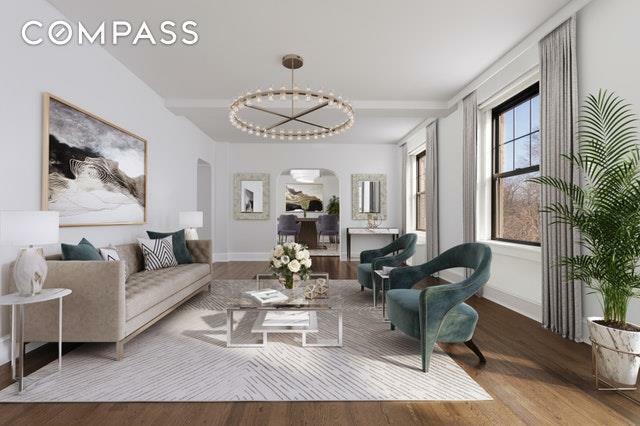 This unique space offers its next owner the opportunity to redesign a truly marvelous home marrying New Yorks past and future. Sorry, no dogs but cats are allowed. Some images have been virtually staged.